AMSTERDAM, April 12, 2019 /PRNewswire/ — The 2019 Amsterdam Coffeeshop Awards are about to begin. 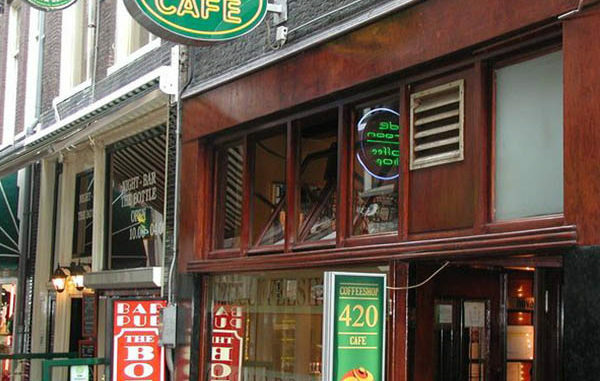 Engaging over 500,000 enthusiasts in its inaugural year, the awards help highlight the top 10 coffeeshops in the city and are a sign of the growing professionalism of Amsterdam’s cannabis industry. “These shops attract millions of tourists to our city every year, and we think it’s important to recognise those shops that really go above and beyond in terms of service, the quality of their products, as well as the atmosphere they provide to their customers”, says Nick Avee, CEO at Zamnesia and organiser of the awards. “The awards serve as a platform for cannabis users in Amsterdam, both those visiting and those living here, to voice their opinions about what they’re looking for in a coffeeshop. It’s one of the many signs that the cannabis industry is advancing, with consumers starting to set standards for the industry”. Cannabis is a huge player in Amsterdam’s €5.7 billion yearly tourism industry. In 2017, Amsterdam received 18 million international visitors. According to earlier data, roughly 23% of tourists pay a visit to a coffeeshop during their stay, and 10% say that coffeeshops are the main reason behind their visit to Amsterdam. Unfortunately, as with any industry saturated by tourists, the standards across Amsterdam’s coffeeshops aren’t always equal. That’s where the Amsterdam Coffeeshop Awards plan to make a difference, prompting visitors to vote on their favourite shops in the city. Moreover, the coffeeshops are just as eager to hear what their customers have to say. “It was a bit like the world cup finale for us, that’s how excited we were. We kept refreshing the webpage over the day to check the rankings”, says a spokesperson from The Stud, one of the winning coffeeshops from last year.